It only takes a few sleepless sweaty nights, tossing and turning for most people to appreciate the value of an air conditioner in the summer. For some people, like those with breathing difficulties and heart problems, a functioning cooling system is important for their actual health. But a new central AC can be very costly. 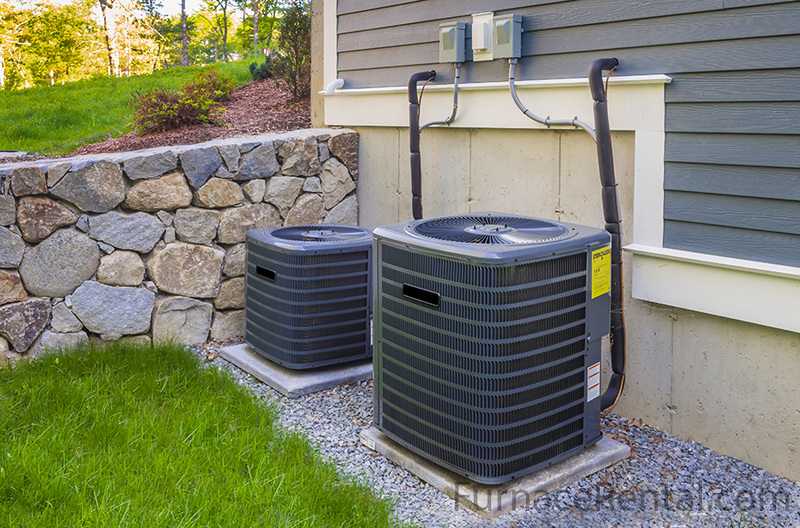 This is where our air conditioner rental program comes to the rescue. With us there are no upfront costs at all. Just a low monthly rate which covers not only all installation costs, but the ongoing servicing and maintenance as well. Gone too are the compromises you thought you had to make in order to get an affordable unit. We provide state of the art air conditioners from leading brands like Goodman and Amana, with SEER (energy efficiency ratings) of 14 and up! That means reliable, quiet cooling for your whole home at a price that fits any budget. Just give us a call for a free quote over the phone in minutes! See full details about our rent to own program here. Air Conditioning System Rentals – Easy, Affordable & Worry-Free! Never Worry About Repairs – You know those extended warranties that can cost an additional $20 – $40 per month for your air conditioner? No need when you rent because a comprehensive care plan is included in your low monthly rental fee. No matter what happens with your unit, no matter how many times you need to call us you will never pay extra for a service call. Straightforward Fees – It is our goal to make sure our customer feel 100% comfortable renting from us and that is why we don’t believe in hidden fees or extras, or changing bills that fluctuate from one month to the next like your average cellphone bill. One flat rate, and that’s it. Free Transfer – Let’s say you rent an air conditioner from us and then opt to sell your home in a couple of years. You don’t have to cancel your rental because we can easily and free of charge transfer the rental to the new owners. This is just another way we try to make our customers feel as secure as possible with our worry-free air conditioner rentals. The Latest Models – We carry nothing but the top tier and most efficient air conditioners on the market today. 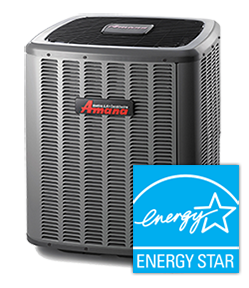 We carry a wide range of ENERGY STAR models, with high SEER ratings and varying sizes and tonnage to meet your cooling needs. Plus you can even qualify for government rebates if they’re available in your region. Free Removal – We have really thought of everything as we want to make renting as easy as possible for our valued customers. 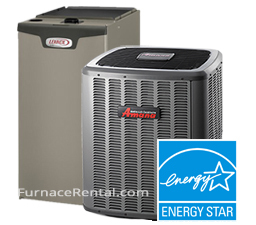 When you rent a unit from us we will even remove your old AC at no charge to you. We are confident that we have covered all the bases. For more details on renting vs buying, see our full comparison. We have been in this business for a very long time and we know the concerns, needs and desires that our customers have when shopping for a new air conditioner. This insight has allowed us to cultivate the most comprehensive, most convenient and most unbeatable air conditioner rental program in Canada. If all this wasn’t enough we will even throw in a best in class NEST Learning Thermostat for free when you rent a furnace and air conditioner from us! There are a number of benefits that upgrading your old air conditioner offers and they range from the practical to the aesthetic. Modern air conditioners tend to run quieter than older models. This may not be a big deal for you if you live in a large house but let’s say you live in a townhouse or a small home where you will be in close proximity to the unit itself. A quieter AC can make all the difference to the overall comfort of your home. Our cutting-edge air conditioners offer more consistent cooling and better control. This means that even in the most extreme heat wave, you can count on a cool comfortable home without the usual high electricity bill! Of course, one of the most enticing benefits to upgrading to a modern air conditioner is the money that you will save on your utilities. Increased home value. A new central AC is an attractive feature for any home. Take advantage of our affordable and carefree air conditioner rental program and enjoy the benefits of efficient whole-home cooling. For too long Canadians have been essentially stuck with only one option when they wanted to upgrade their air conditioning units or to replace a broken down unit: they had to fork over thousands of dollars for a new appliance and then pay an extra monthly fee in order to protect their new investment with an extended warranty and servicing plan. Or run the risk of costly unexpected repairs and service calls. Not any more. Give us a call today at 1-877-785-1055 and have your new AC installed as soon as the very next day!